Home/GJG, Tree Plantings, Tree Plantings in Victoria/Looking forward to the growth! Simon Spiteri from G. J. Gardner Homes Point Cook is a generous supporter of local community groups and their tree planting projects. This year, the Point Cook team purchased 315 trees for Colleen Miller and her conservation volunteers. The trees were planted at Werribee Park, Victoria. We had a great planting on Friday the 16th of November. We had over 30 volunteers, some of who disappeared before the group photo. 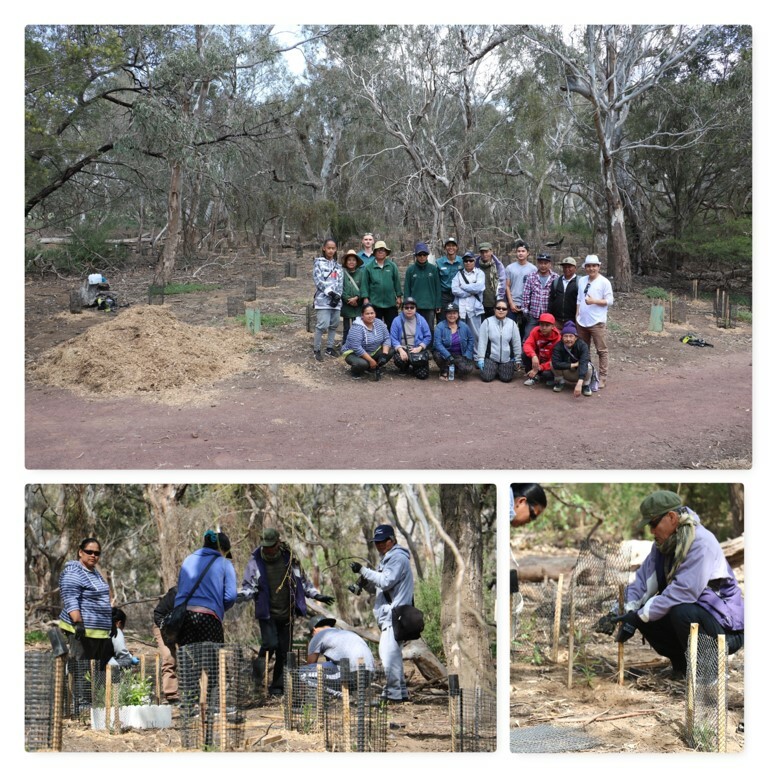 This year the Karen community volunteers at Werribee Park joined with Karen volunteers from the Wyndham Learning Center and with the assistance of Parks Victoria planted 315 trees and shrubs. All were staked, guarded, mulched and watered. We finished up with a lunch prepared by one of the Karen. We have had fantastic rain this week so we are looking forward to the growth. Thank you to G.J. Gardner for these trees. We have been the fortunate recipients of your trees for many years now and appreciate your contribution to our tree planting projects. Massive thank you to Simon and the team from Point Cook for generously purchasing 315 trees for the Karen Community to plant at Werribee Park. Colleen is a fabulous landcare secretary and these trees have the perfect start to their growing lives. So wonderful to see new community members like the Karen not only joining in with looking after our native parks but also learning about our native vegetation and wildlife.